This image was in my mind more than one year. 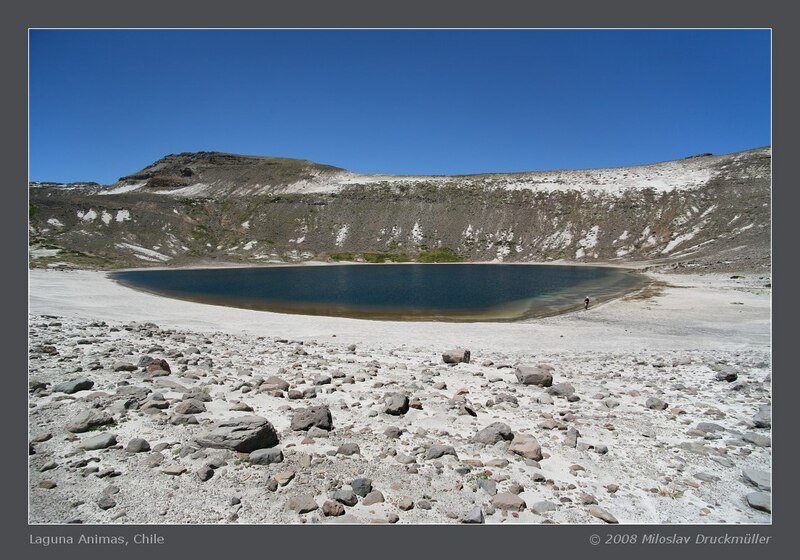 Laguna Animas is a charming mountain lake, which was visited for the first time by my wife Zuzana and me in 2008 during our Chilean mountaineering expedition. We were enamoured by this beautiful piece of Andean landscape. 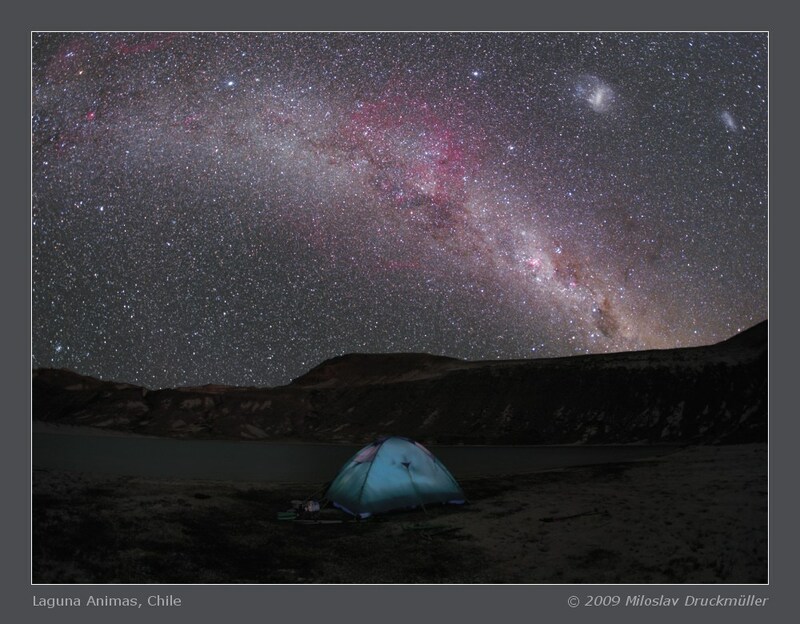 Starry night on the bank of this lake was an unforgettable experience. The altitude of 2276 m and absence of light pollution makes this place a dream observing place for a poor inhabitant of a big city in central Europe. A "small" problem is that the observing place is about 8 hours of walking far from the nearest place accessible by bus or by car. Moreover, I had to carry all my photographic equipment in my backpack during the whole one month expedition. 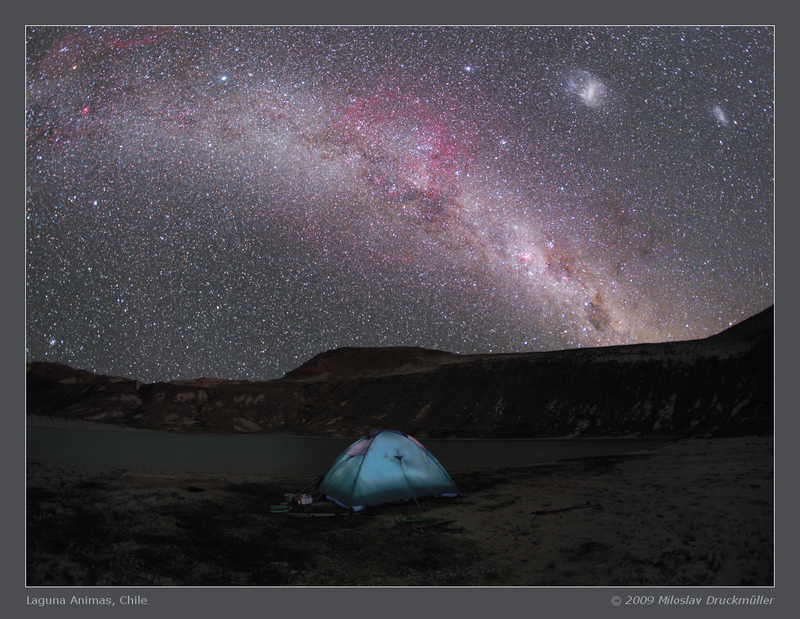 Therefore my equipment was limited to Canon EOS 5D, Tamron lenses 17-35 mm, 28-75 mm, 70-300 mm, Zeiss Flektogon 2.8/20 mm and Canon Fisheye 15 mm - fix focal length lenses with the infinity stop for night photography and a small tripod. 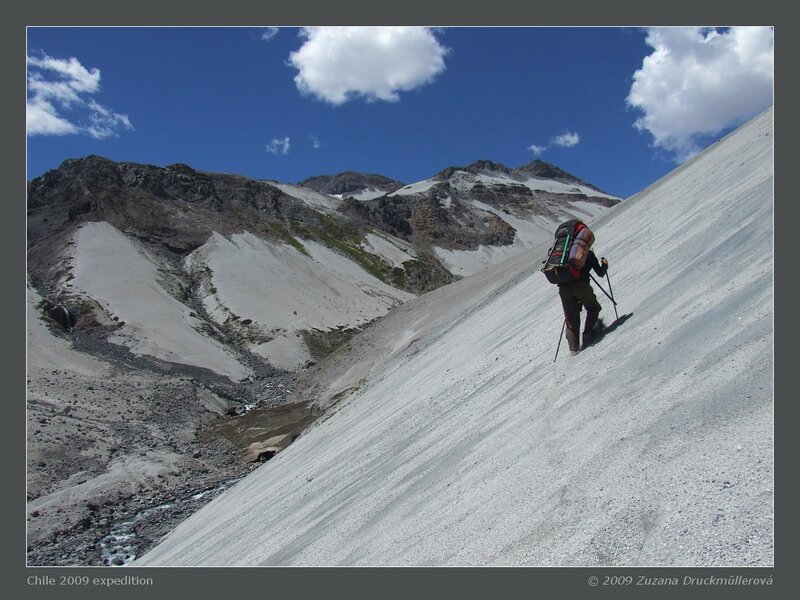 During walking or climbing, very often I blasphemed myself for the foolish idea to take so much equipment. Conversely, during the nights I suffered that I have no better equipment. 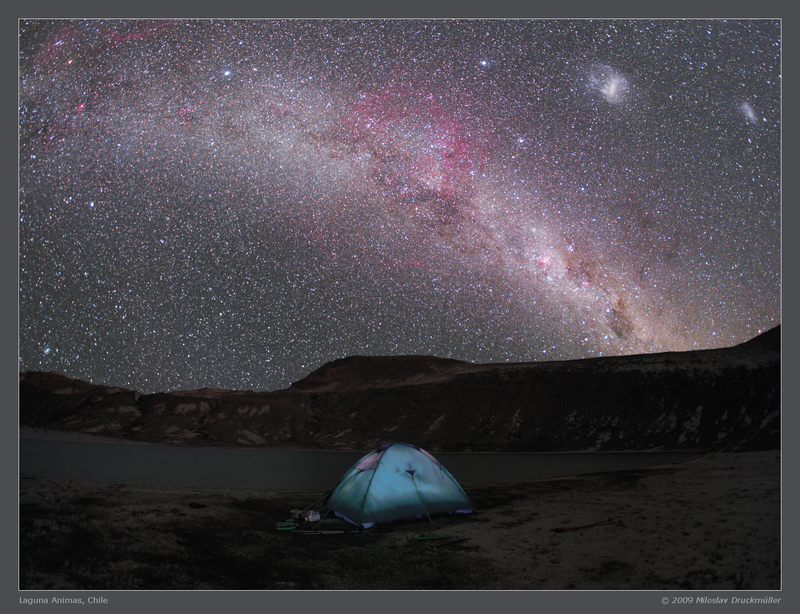 Mountain climbing and astrophotography is really a painful combination. 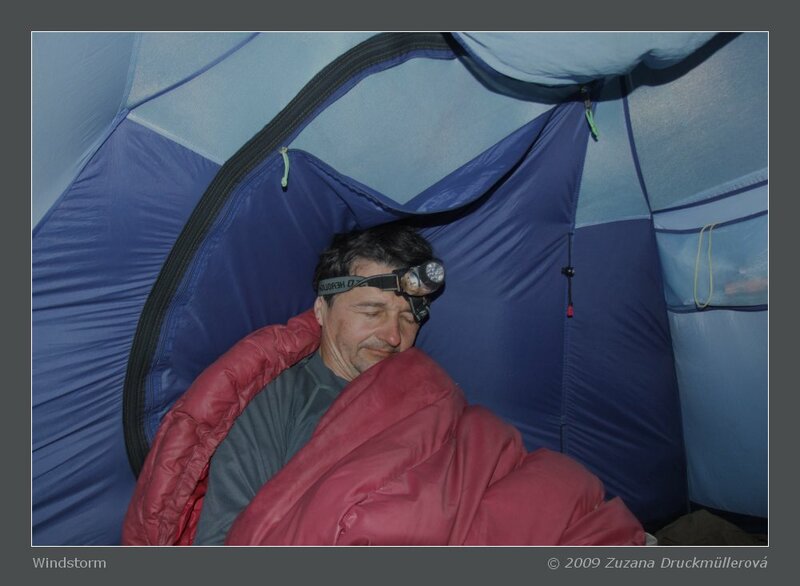 I took numerous nocturnal images (including comet Holmes) during our 2008 expedition. Some of them turned out rather well but the unmodified Canon with its very low red sensitivity was not able to manage the job. This brought me to following a crazy idea. I bought a bigger backpack for our 2009 Chilean expedition and I added one heavy piece more to my heavy equipment - a modified Canon EOS 5D body. 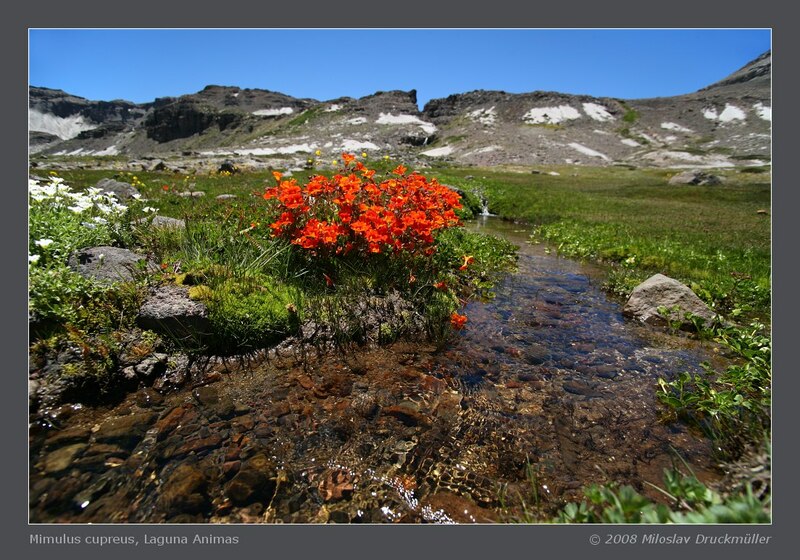 The visit of Laguna Animas was not in our preliminary plans, however bad weather in Patagonia changed our plans. I got the second chance after one year. The resulting image is a composition of totally 58 images. Moreover about hundred other images were used as dark frames and images for geometrical calibration. The camera equipped with 15 mm fisheye was directed to four different direction. The "master" image on which all other images were aligned was taken at 22:16 of local time. It was necessary to overcome two main problems - impossibility of taking flat-field images for fisheye and finding acceptable geometrical transform for an image with nearly 180° diagonal field of view. Finally the result is highly over my expectations and as for me worth dragging the heavy camera body. The image in this page is optimized for viewing in darkness. You may see brighter image versions here (small, big). An image with boundaries of constellations and bright stars captions is here. I stopped taking images of the sky at about 23:30 of local time for strong wind. This wind changed to heavy windstorm during a short time and so I spent the rest of the night leaned against the windward side of our tent. Click on the image or on the following reference to display the higher resolution image version (3.7 MB, PNG format).